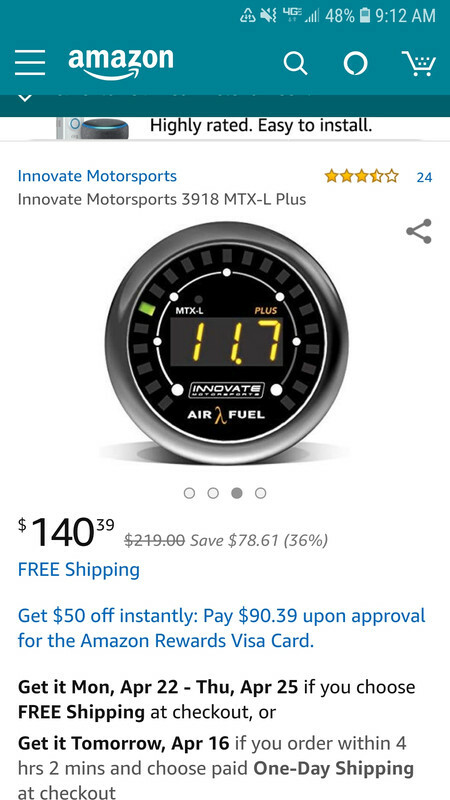 Are there any recommendations for air/fuel ratio gauges? Must be wide band and display numbers not flashing lights. Complete kit. Preferably on Amazon. Complete with O2 wide band sensor, wiring, bung and all??? Thanks crash. I ordered it with confidence. I put an AEM 31-5130 into my car. I like that the analog face matches better with the analog guages of the car. Seems to work well, needle moves plenty quick. I can say since adding it and an MSD my car runs phenomenally better. Unless you are using a Wideband, it's really just a guessing game.